Employers - we are here to help! Bespoke training for your business, department or team! Classroom and online training available TODAY! Whether you need ‘always on’ HR support, or just someone to rely on occasionally, we have the answer! We can act as your HR team or support your existing team – whatever works for you! Struggling to grapple with your health and safety responsibilities? If you want someone else to take the strain and ensure you are fully compliant then drop us a line! Do you have employees across the British Isles? Our services are available in the U.K., Jersey, Guernsey and Isle of Man! Feel free to contact us on a no obligation basis! HR At Work commenced operations in early 2016 following on from the success of our Channel Islands based sister company which was founded in 2004. Any form of outsourcing should improve efficiency and reduce cost – if it doesn’t, something isn’t working. Do feel free to get in touch! Previously Deputy Director of the Jersey Advisory and Conciliation Service (JACS), Martin is an employee relations specialist (and non-practising Barrister). He jointly founded HRAW in 2016. 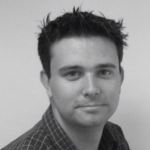 Martin is also a member of CIPD and the IoD. 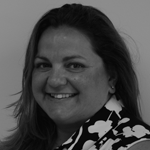 Kelly is a Chartered FCIPD professional with over 15 years experience dealing with HR related issues such as employment law, employee relations, employee commitment and reward. 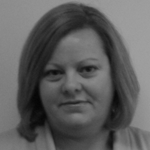 Heidi is a Chartered FCIPD HR professional with over 15 years experience in HR. Heidi is the Policy Advisor for the Chartered Institute of Personal and Development and Chair of the Education and Training Sub-Committee for the Institute of Directors. 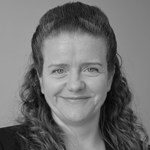 Sharon qualified as a Solicitor of the Supreme Court of England & Wales in 2004 (now non-practising). In addition to advising clients, Sharon also conducts advocacy in Employment Tribunals and is responsible for our black letter law training. 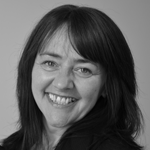 Lorna is a Chartered FCIPD professional with over 20 years experience dealing with strategic and operational HR issues including employment law, employee relations, training and development, organisational development, recruitment and performance management. 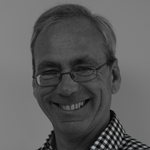 Richard is a Chartered FCIPD, a Chartered IOD Director and a CEDR accredited dispute mediator with nearly 30 years experience in HR related issues including employee relations within unionised organisations, employment law, engagement and reward. “A radical overhaul of employment law” on the way?